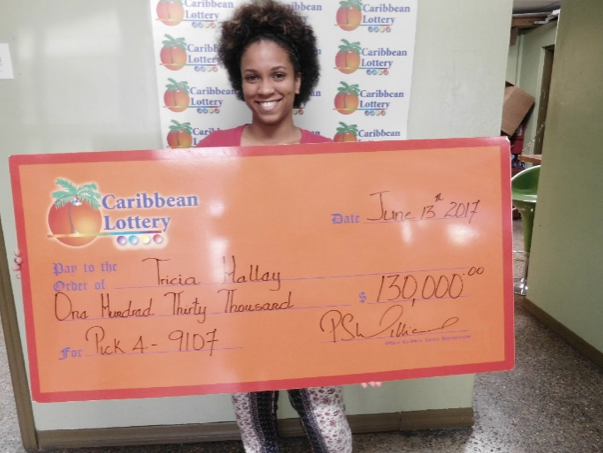 Phillipsburg, St Maarten - June 15, 2017: When numbers are revealed to persons in dreams, Tricia Halley, a recent winner of $130,000 in Caribbean Lottery’s Pick 4 game, believes, persons should act immediately by purchasing them in lottery games. 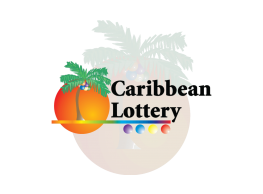 The 21-year-old winner purchased Pick 4 tickets at Island Seafood and Texaco Welfare Road with the numbers 9107 for Monday, June 12th draw. She shared that, were it not for her acting on numbers revealed to her, she would not have been $130,000 wealthier today. Halley added that she was “excited and nervous” at the same time about her victory after playing the game daily for three years. 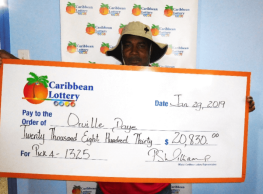 She previously won $12,000 in another Pick 4 game. 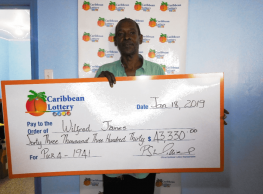 “I picked this game because it is easy to win. 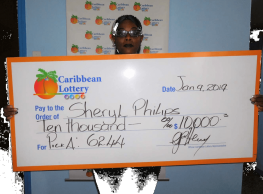 This win will allow me to do so many wonderful things,” she said.